It wasn’t until I grew older, and perhaps a little wiser, that I began to appreciate the beauty and importance of scars. Like many, I used to think that scars were to be hidden, and seldom talked about. What I have come to learn though the years, is that behind every scar there is at least an interesting story – and at most a story of endurance, worth telling and hearing. The story typically contains struggle, and end in a triumph of some kind. Sometimes the victories are on a smaller scale, but victories are well worth talking about and sharing regardless of the margin. I know a thing or two about scars, after going through a couple of leg surgeries as a child and traveling my own journey. A few weeks ago, I was reminded about the importance of the power of scars – in a dentist office, of all places! It was my first time visiting this particular dentist, so when Tatyana Alekseyevna came into the room to clean my teeth I was meeting her for the first time. First impressions do mean a lot. I was struck by her energy, as well as the way she carried herself – Tatyana is truly a person who genuinely takes interest in others. We began with the typical obligatory discussion one usually has during an initial dental visit. The discussion then began to transition to other seemingly obligatory topics of family, and occupation. 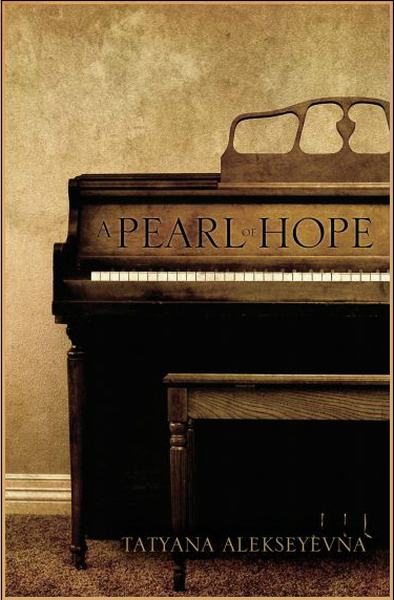 Somewhere during the course of our discussion, Tatyana told me she has written a book called, A Pearl of Hope. As is often the case, the book is available from a variety of retailers, websites and formats – including the Amazon Kindle app. Tatyana also makes the book available on her website. I asked Tatyana several questions during my visit – or at least as many as one can ask from a dental chair. She offered a few clues to me about her story, so I decided to download and read her book. It was during my second dental visit later in the week that she showed me scars inflicted at such an early age – scars that I would never have seen without having been shown them. It was Tatyana’s passion for life, and outgoing nature that truly stood out to me. Without giving away her story, the scars were in no way self-inflicted. They are a reminder of a painful day in Tatyana’s life that interrupted a very happy childhood. And as is sometimes the case, it can take decades or even a lifetime to overcome the types of events that Tatyana has had to overcome. But to a person meeting her for the first time, it would never be evident – at least until now. Many people go through life talking about writing a book, but seldom to. Many people go through life having experienced tragedy, deciding to bury the experience deep within, never sharing their story in order to help others. Tatyana has made a conscious decision to pen her story, and use to inspire others with her story of hope. She has used the book as a vehicle to speak with groups of young people about hope, endurance, and self-worth. More importantly, she has used the book as a vehicle to share her walk with Christ throughout the journey. Many scars, such as Tatyana’s, are not clearly visible to people who first meet them. However, scars serve as reminders of a story worth remembering. I look forward to learning about all of the lives Tatyana will continue to make richer, by sharing her testimony, as well as supporting others in difficult struggles. Tatyana’s story is far from complete, as I know she will continue to enrich others with her story of hope and personal triumph.